In response to emails telling him to vote against Betsy DeVos’s confirmation as secretary of education, U.S. Sen. John Hoeven (R-N.D.) is saying she’s good at business. The letter makes no mention of DeVos’s utter lack of knowledge about education, which was revealed during her recent confirmation hearing. “In questioning by senators, she seemed either unaware or unsupportive of the longstanding policies and functions of the department she is in line to lead, from special education rules to the policing of for-profit universities,” The New York Times reported. “Ms. Devos admitted that she might have been ‘confused’ when she appeared not to know that the broad statute that has governed special education for more than four decades is federal law. In his email, Hoeven doesn’t even try to convince constituents that DeVos is knowledgeable about education policy. Nowhere in the letter does he praise her expertise in the field. However, he does write that he asked DeVos whether “she supports public education and state and local control,” to which she answered yes. 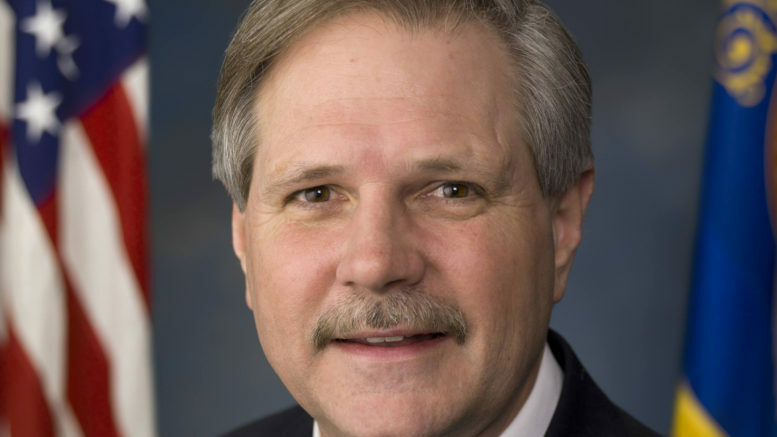 “I have every intention of holding her to that commitment,” Hoeven writes. He’s impressed that DeVos admits to supporting public education? That’s the fundamental aspect of the job. Standards are low. Thank you for contacting me regarding President Trump’s nomination of Betsy DeVos to be the Secretary of the U.S. Department of Education. I appreciate hearing from you and welcome the opportunity to respond. 1 Comment on "Hoeven Supports DeVos for Education Secretary Because of Her “Business Skills”"
How much dirty $$$$ did Hoeven get from that jackass DeVos? With all that $$$ from Big Oil Hoeven’s coffers must be overflowing with dirty money. John Hoeven and Donald Trump are long lost crooked brothers.